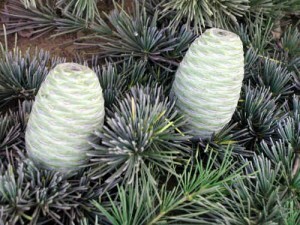 Additional Info: The plant is indigenous to Northern Himalayas. It is widely raised in India, as a decorative plant. Familiar species can be met is Africa, Asia, Turkey, and Lebanon. Elements Applied: Turpentine, bark, wood, and leaves are applied in herbal medicine. Active Components: Wood is a source of oleoresin, called Kelanka-tel, as well as a dark oil, which is similar to turpentine. Cedrawood oil, taken from the tree, is rich in gamma- and alpha- atlantone, and p-methyl-3-tetrahydroacetophenone. Used For: The wood is particularly beneficial for constipation, while the bark is used for fevers and diarrhea; and the leaves are applied due to their turpentine characteristics. Cedarwood oil is applied for inflammatory diseases of the respiratory organs. It induces expectoration. The range of conditions, in which the herb is applied, includes ulcers, skin conditions, paralysis, kidney stones, inflammations, fevers, dysentery, and diarrhea. Wood bark is successfully used for recurrent fevers, dysentery and diarrhea. The powder is applied to relieve ulcers. It is especially useful in curing inveterate diarrhea, induced by muscle atony, as well as bilious fevers. The oil extracted from the wood is applied for inflammatory diseases of the respiratory organs. It relieves coughs. As an external remedy it is used for skin conditions and ulcers. Preparation and Intake: The herb is used in form of powder or oil. The oil is particularly used for rubbing. Occasionally, it may be employed as an inhalant.